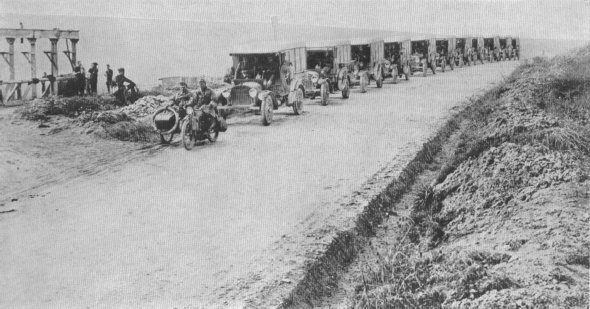 THE RED CROSS TO THE FRONTEven before American combat troops arrived on the Italian front, a number of ambulance companies were sent there because of a shortage of this type of equipment among the Italians. This ambulance section arrived in June, 1917. UPON THE PLEASANT RIVERBecause of difference in terrain, military operations in Italy differed from those on the Western Front. 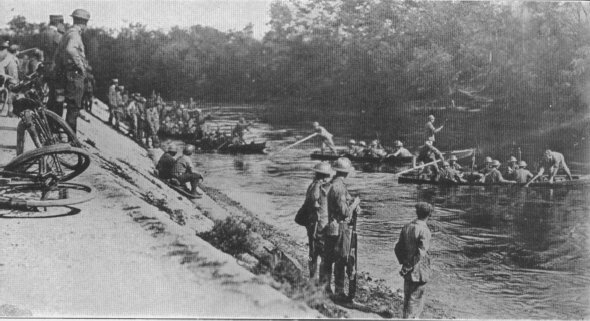 3rd Battalion, 332nd Inf., crossing a river in pontoons directed by Italian veterans, Porto di Fiera, Italy, Oct. 6, 1918.